Academy Awards 2016: Leonardo DiCaprio Wins His First Oscar Ever! Leonardo DiCaprio won the Oscar for best actor for his work in “The Revenant.” This is his sixth Oscar nomination. 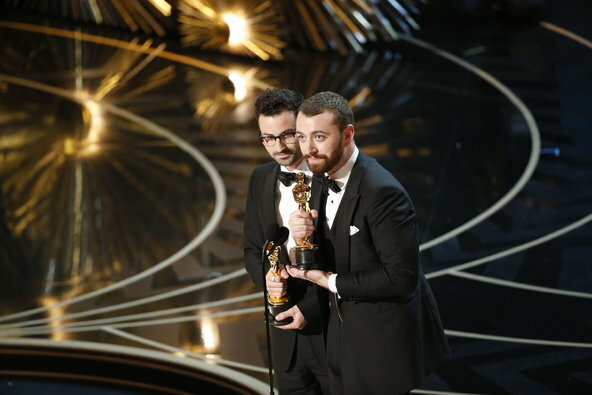 The Oscar for original song goes to “Writing’s On The Wall” from “Spectre,” by Jimmy Napes and Sam Smith. Ride Along 2 was unable to top its predecessor but an estimated $34 million is enough to top the weekend box office, followed closely by Fox’s The Revenant, which dropped only 26% in its second weekend in wide release. Both films finished ahead of domestic box office king Star Wars: The Force Awakens, which fell to third in its fifth weekend in release while becoming only the fifth film to ever cross a major international milestone. Meanwhile Michael Bay’s 13 Hours: The Secret Soldiers of Benghazi performed just slightly under expectations while Lionsgate’s animated pick-up Norm of the North exceeded our most pessimistic of expectations. A selection of this past Thursday’s Oscar nominees also added a few theaters, delivering results worth taking a look at. Starting at the top, 2014’s Ride Along debuted with a whopping $41.5 million over the three-day weekend and $48.6 million for what was a four-day, Martin Luther King weekend record. The action/comedy sequel, which sees stars Kevin Hart and Ice Cube return, fell a bit short of the original with an estimated $34 million and what will likely end up being a $39 million four-day weekend. While this falls short of the first film, it’s still enough to challenge for a spot as one of the the top five all-time Martin Luther King weekend openings. It will need to put in a little work over the coming weekends, however, if it’s to top $100 million domestically as word of mouth might not be as strong for this one considering its “B+” CinemaScore compared to the first film’s “A”. As was pointed out in the weekend preview, there are examples on both sides of the comedy sequel trend to support a big drop as well as big gains when compared to their predecessors. As it turns out, Ride Along 2 joins the likes of Think Like a Man Too, Horrible Bosses 2, Anchorman 2 and Ted 2 by falling short of the first film as well as our weekend predictions. Coming in second is The Revenant, which lead the 2015 Oscar nominations with twelve and follows up its excellent wide release last weekend with an estimated $29.5 million this weekend. That’s a mere 25.9% drop, which is actually better than American Sniper’s impressive, 27.6% second weekend drop last year. Fox is predicting $35 million for the four-day holiday weekend, enough to become one of the all-time top ten Martin Luther King weekends. Add to that, the film brought in another $31.5 million internationally, bringing its worldwide cume to over $151 million. Falling from the weekend top spot for the first time since its December 18 release, Star Wars: The Force Awakens brought in an estimated $25.1 million for the three-day weekend and is looking at $31 million for thefour-day as its domestic cume has now grown to $856.9 million. Meanwhile, it has become the fifth highest grossing release internationally and only the fifth film to bring in over $1 billion from overseas territories. It’s international cume has now grown to $1.012 billion, resulting in over $1.8 billion worldwide. It currently sits only $4.1 million shy of Jurassic World’s overseas gross and will soon top Furious 7’s $1.16 billion for third place on the list. Landing in fourth position is another one of the weekend’s new wide releases, Michael Bay’s 13 Hours, which tallied an estimated $16 million for the three-day weekend with Paramount estimating $19 million for the four-day. This is Bay’s first film to gross less than $20 million in its first three days since The Island back in 2005. Budgeted at $50 million, it should push to end up grossing somewhere right around $45-50 million for its domestic run, perhaps lower than the $49.8 million Pain and Gain brought in back in 2013. Lionsgate’s Norm of the North managed to perform a little better than expectations, which has to be a welcome result for the studio, which is on the hook only for the cost of distribution rights and it’s limited marketing spend. The film ended up grossing an estimated $6.6 million over the three-day and is estimated to finish around $8.8 million for the four-day weekend. Looking over the list of Oscar nominees, The Big Short had the best hold in the top ten, dropping 15.8% this weekend, despite shedding 764 theaters. Playing in 1,765 theaters the five-time Oscar nominated film finished in eighth position with an estimated $5.2 million over the three-day weekend. Brooklyn added 393 theaters and brought in $1.66 million for a 57.3% bump compared to last weekend. Right behind it was fellow Best Picture nominee, Spotlight, which expanded its reach by 617 theaters, playing in just shy of one thousand overall cinemas and bringing in an estimated $1.5 million. Additionally, A24’s Room brought in an estimated $700,000 from 293 theaters for a 504% bump, the weekend’s largest increase. Paramount’s animated Oscar nominee, Charlie Kaufman’s stop-motion animated feature Anomalisa added 20 theaters and is now playing in 37 theaters across the country where it grossed an estimated $290,000. The weekend’s per theater winner was Sony Classics’ The Lady in the Van, which had a two theater Academy run in December, but is now considered officially released, pulling in an estimated $72,264 from four theaters for a $18,066 per theater average. Next weekend sees the release of Sony’s sci-fi thriller The 5th Wave, which actually opened in some international territories this weekend and pulled in $8.2 million from over 1,900 screens. Additionally, the PG-13 horror The Boy from STX will hit theaters next weekend along with the Robert De Niro and Zac Efron comedy Dirty Grandpa, all of which will be playing in around 2,600-2,800 theaters. You can check out the three-day estimated results from this weekend right here and we’ll be back tomorrow with a full list of estimated results for the four-day weekend. Golden Globes 2016: The Revenant Wins Big! The Revenant took home the award for Best Motion Picture, Drama while The Martian won the award for Best Motion Picture, Comedy at the 2016 Golden Globe Awards on Sunday. On the drama side, The Revenant beat out Carol, Mad Max: Fury Road, Room andSpotlight. “I cannot say how surprised I am and how proud I am to have survived this film with all these fellows,” the movie’s director, Alejandro Iñárritu said in his acceptance speech. The movie’s win came just minutes after the film’s star Leonardo DiCaprio won the award for Best Actor in a Drama Movie. In the comedy category The Martian beat out The Big Short, Joy, The Martian, Spyand Trainwreck to win the award. Director Ridley Scott spoke on behalf of the film and during his/her acceptance speech he thanked the film’s star Matt Damon for bringing his “special brand of humor and grace” to the movie. The box office had a nice bump as the Thanksgiving weekend saw three movies gross more than $40 million over the five-day extended weekend, although Lionsgate’s The Hunger Games: Mockingjay Part 2 still dominated over all of them with an additional $75.8 million and $51.6 million over the three-day weekend, down 50% from its opening. That’s a better hold than Mockingjay Part 1, which earned $57 million over Thanksgiving last year, down 53% from its bigger opening. After ten days, it has grossed $198 million at the domestic box office, which is down from where Part 1 was at with $225.7 million in the same time frame. Disney•Pixar released their second movie of 2015, The Good Dinosaur, into 3,749 theaters on Wednesday and after earning $9.8 million on Wednesday and dropping on Thanksgiving day, it picked up steam for the weekend with an estimated $39.1 million over the three days and $55.6 million including Wednesday and Thursday. That weekend opening is the lowest for a Pixar Animation film since 1998’s A Bug’s Life, which grossed $33 million over the Thanksgiving weekend (after an exclusive release in a single theater the week before). Even so, it scored the fourth-biggest Thanksgiving opening for both the three-day and five-day time frames, and it should continue to do well as the only family film for the next few weeks, having received an “A” rating from audiences polled by CinemaScore. The Good Dinosaur took in an additional $28.7 million internationally in 39 territories with the UK scoring the biggest amount with $4.3 million, followed by Mexico and France. Fruitvale Station director Ryan Coogler reteamed with Michael B. Jordan for MGM and Warner Bros. Pictures’ Creed, putting Sylvester Stallone in the role of Rocky Balboa for the seventh time, and it became one of the biggest surprise holiday hits. Released into 3,404 theaters on Wednesday, it scored $1.6 million in previews, which amounted to a $6 million opening day, but it built on that for a higher Thursday, and it’s estimated to gross $30.1 million over the three-day weekend. That’s more than the $20 million opening for Rocky IV over Thanksgiving weekend thirty years ago, although it’s not that impressive when you take into consideration thirty years of ticket price inflation. Even so, the movie ended up well above expectations with an estimated $42.6 million over the five-day weekend and it should continue to perform strong over the next few weeks going by the “A” CinemaScore. MGM Studios also took fourth place with the 24th James Bond movie SPECTRE (Sony), which took in an estimated $12.8 million over the three-day weekend (just a 15% drop from last weekend) with $18.2 million grossed over the five-day holiday. It has earned $176.1 million in North America, which is more than the total gross for Daniel Craig’s first two Bond films, Casino Royale and Quantum of Solace, but less than the $221 million that the previous Bond film, Skyfall, had grossed by the end of Thanksgiving weekend in 2012. 20th Century Fox and Blue Sky Studios‘ animated The Peanuts Movie collected another $9.7 million over the three-day weekend, down 27% from last weekend to take fifth place, with $13.6 million over the five days and $117 million grossed so far domestically. Sony Pictures’ R-rated holiday comedy The Night Before, starring Joseph Gordon-Levitt, Seth Rogen and Anthony Mackie and directed by Jonathan Levine (50/50), took sixth place with $8.2 million (down 17%) in three days and $11.5 million Wednesday and Thursday. Its $24 million domestic gross is just shy of the film’s reported $25 million production budget. STX Entertainment‘s thriller Secret in Their Eyes, starring Julia Roberts, Chiwetel Ejiofor and Nicole Kidman, also dropped two places to seventh with $6 million over the five-day weekend and $14 million total. It was neck and neck with the ensemble drama Spotlight (Open Road), starring Michael Keaton, Mark Ruffalo, Rachel McAdams, Liev Schreiber and Stanley Tucci, which expanded nationwide into 897 theaters where it brought int $5.7 million over the five-day weekend and $4.5 million over three. It has grossed $12.3 million to date. The Saoirse Ronan drama Brooklyn (Fox Searchlight) also expanded nationwide into 845 theaters which allowed it to move into the Top 10 to ninth place with an estimated $4.9 million over the five-day weekend. It has earned $7.3 million since opening in select cities a few weeks back. Ridley Scott’s The Martian (20th Century Fox), starring Matt Damon, retained a place in the Top 10 for the ninth weekend in a row with $4.5 million over the five-day weekend and $3.3 million Friday through Sunday. It has earned $219 million to date, making it one of the year’s blockbuster hits. The big bomb of the weekend and probably among the biggest bombs for Thanksgiving releases was 20th Century Fox’s Victor Frankenstein, starring Daniel Radcliffe and James McAvoy, which grossed an estimated $3.5 million in 2,795 theaters over the five-day weekend, just $1,234 per theater. It’s ironic that it fared worse than The Martian in its ninth weekend, considering that the movies swapped release dates earlier in the year. It also grossed less than Brooklyn in its expansion into 2,000 less theaters. It may not be surprising, but the Thanksgiving Top 10 was up around $10 million from the same time last year when DreamWorks Animation’s animated spin-off The Penguins of Madagascaropened in second place with $36 million over the five days and the comedy sequel Horrible Bosses had to settle for fifth place with $23 million. Focus Features’ period drama The Danish Girl, starring Eddie Redmayne, Alicia Vikander, Amber Heard, Matthias Schoenaerts and Ben Whishaw, opened in four theaters in New York and L.A. where it grossed $185,000, or $46,250 per theater. According to exit surveys, 58% of the audience was female and 67% over 40. Todd Haynes’ period drama Carol (The Weinstein Company), starring Cate Blanchett, Rooney Mara and Kyle Chandler, held decently in its second weekend, still playing just four theaters in New York and L.A., and it added another $203 thousand for a $588,000 total. One expects that The Weinstein Company will expand the film into more theaters and eventually wide by year’s end. 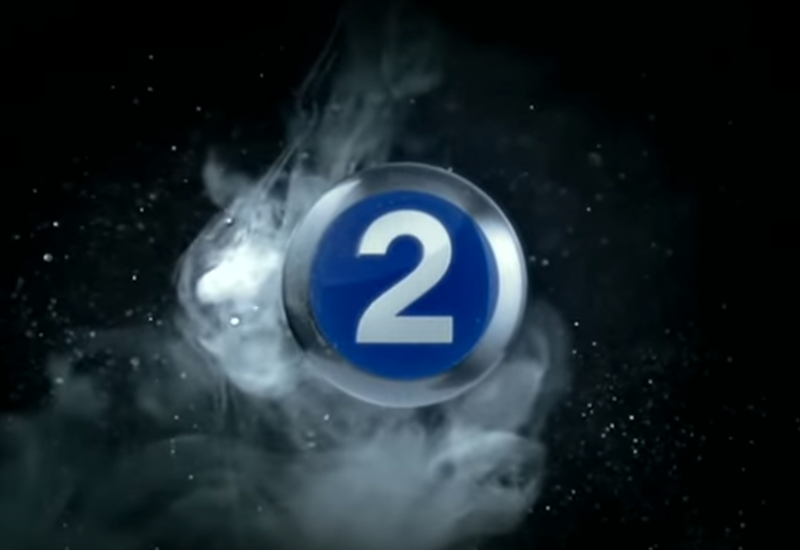 MBC2 Finally changes its “Terrifying” Commercial Break segment song! 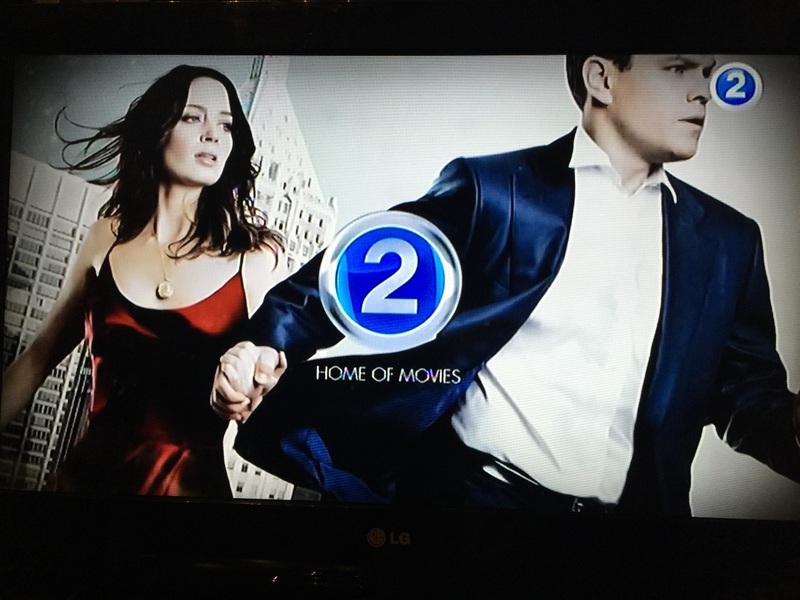 MBC2 is the first 24-hour free-to-air movie channel in the Arab World. The Channel offers a wide variety of top international and Hollywood movies. And it was really the case, no matter what genre of movies was aired, the same Commercial segment song was played over and over like every 10 to 15 minutes.